Cooper stars in the film as Navy SEAL Chris Kyle, a record-setting sniper who served four tours in Iraq, only to be shot and killed in 2013 at a gun range in Texas. 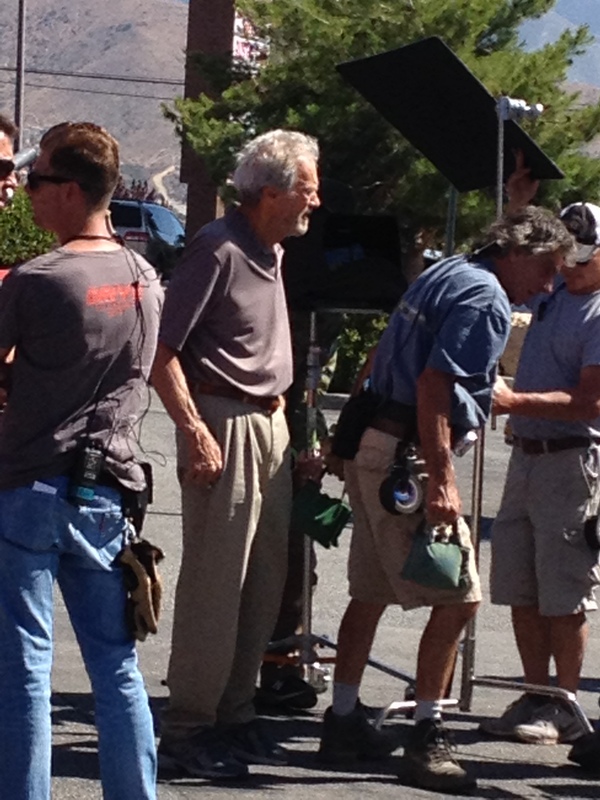 Eastwood is directing the film, which features combat scenes lensed at Blue Cloud Ranch in Santa Clarita. 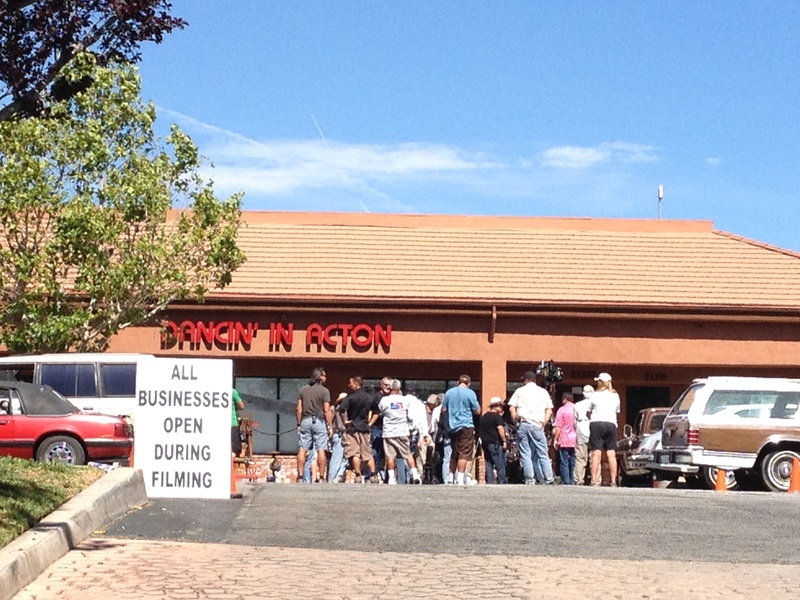 Cooper and co-star Sienna Miller have been spotted on set at several Los Angeles locations over the last few weeks. Eastwood arrived about 3:30 p.m. Monday at a shopping center on Santiago Road in Acton, where an empty unit had been dressed as a Navy recruitment center. Cooper, star of “The Hangover” and “American Hustle,” showed up shortly after the director, wearing a plaid shirt and jeans. The actor was looking husky, having bulked up considerably for the role, but didn’t have the bushy beard he sported for much of the movie’s production. He spent most of Monday’s shoot inside the building. 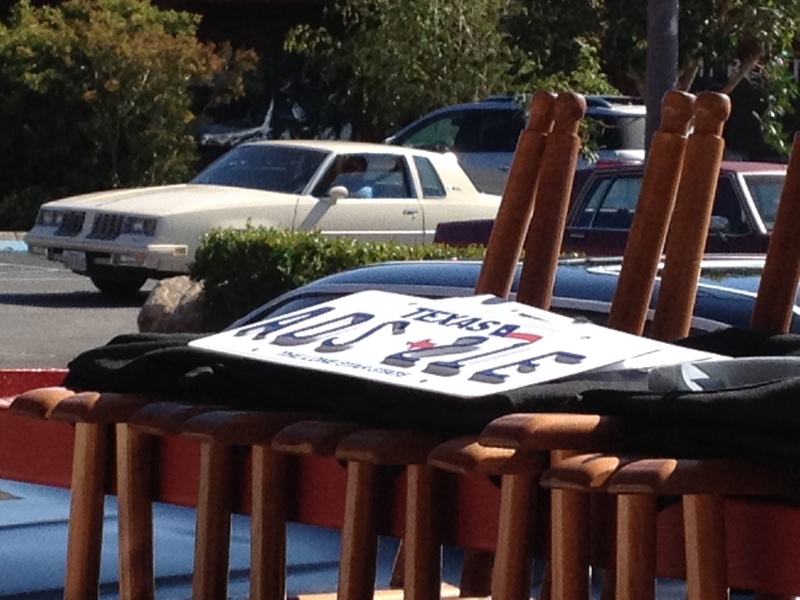 The shoot drew a small crowd of onlookers from neighboring businesses, which remained open for the day. They gathered to try to get a look at Cooper, but were disappointed when much of the filming revolved around several denim and cowboy boot-clad extras walking in and out of the recruitment office. Based on Kyle’s memoir, “American Sniper” is among the modestly budgeted productions taking advantage of California’s film tax credit, according to the Los Angeles Times. 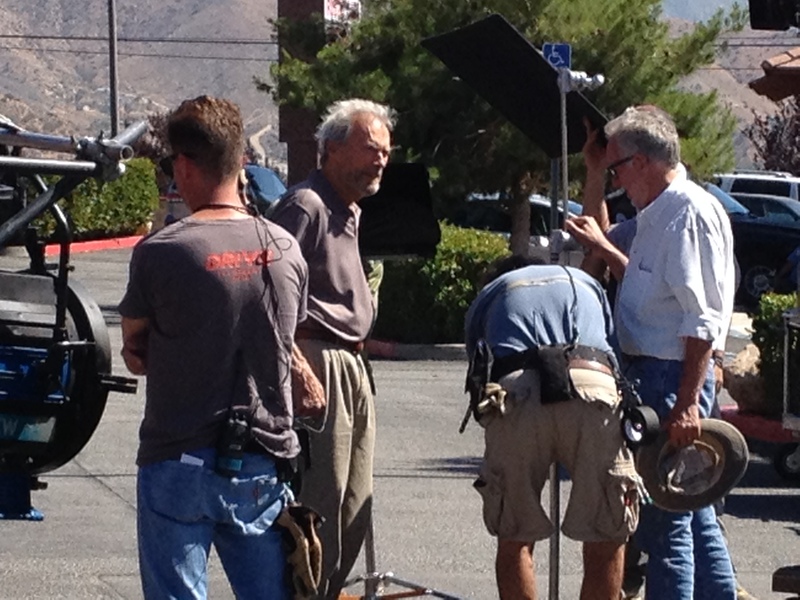 Eastwood also shot his last project, the upcoming Broadway musical adaptation “Jersey Boys,” in L.A.
“Sniper” is set to be released next year. Melissa Medialdea contributed to this post. 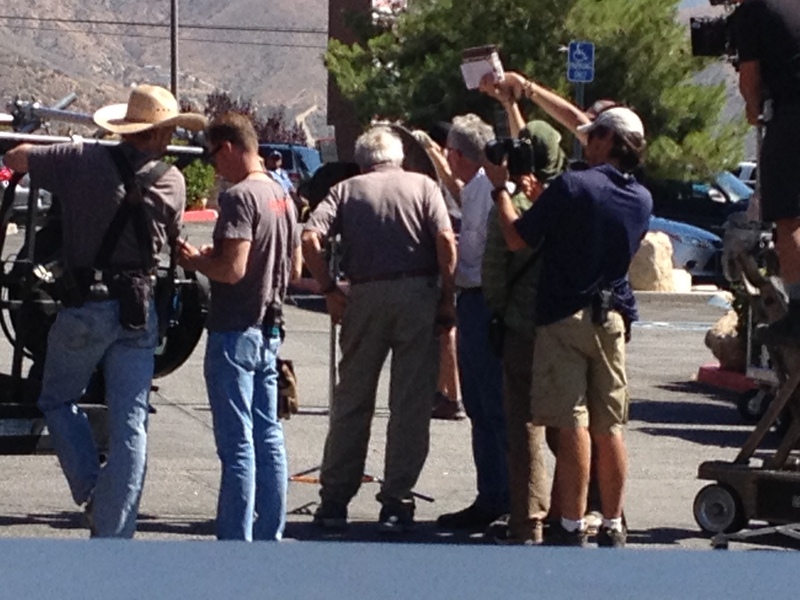 Clint Eastwood takes a look at the monitor on the set of “American Sniper” in Acton. 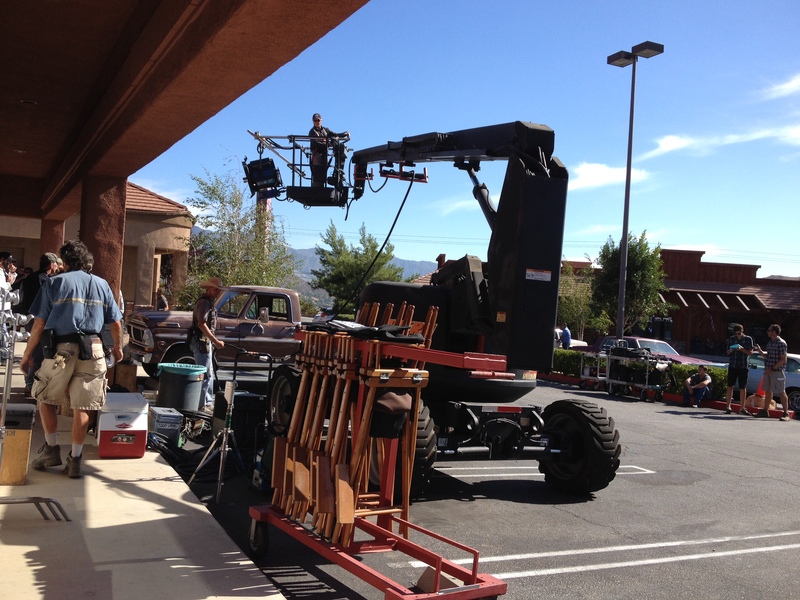 This entry was posted in Uncategorized and tagged Acton, American Hustle, American Sniper, Bradley Cooper, Chris Kyle, Clint Eastwood, film shoot, Los Angeles, state film tax credit, The Hangover on June 2, 2014 by Lavender Vroman.